LGBTQ activists in Azerbaijan are reporting that 50 to 100 gay and trans people have been arrested this past week over the course of several days. 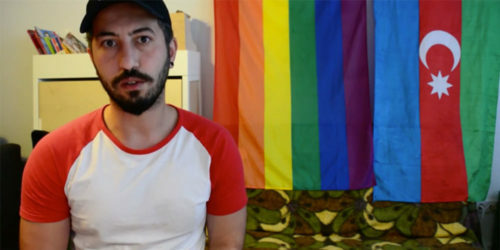 Javid Nabiyev, president of the Nefes LGBT Azerbaijan Alliance, said that some of the arrests happened during raids of private homes, while other people were arrested in public, possibly because the police judged their clothing and mannerisms to be queer. Police working for the Ministry of Internal Affairs have forced some of those arrested to give the names and addresses of LGBT acquaintances, who were then arrested and treated the same. Many have been detained for a period of 20 or 30 days. “Activists report that the detainees were subjected to beatings, verbal abuse, and forced medical examinations, as well as transsexual women’s heads being forcibly shaven,” said the international human rights group Civil Rights Defenders in a statement. Activists on the ground in Azerbaijan say that police are telling the media that the detainees all had HIV and other sexually transmitted infections, without presenting evidence of that claim. “Defending these creatures – who are sources of immorality, dangerous diseases, and who have been cursed by God – Western circles are trying to destroy our national traditions under the name of ‘human rights,'” said Justice Party deputy chair Ayaz Efendiyev. Azerbaijan is a nation of 10 million people, located between Chechnya and Iran on the Caspian Sea. 98% of the population identifies as Muslim. “In our country, sexual minorities have never been persecuted,” said a spokesperson for the Ministry of Internal Affairs. In a report by ILGA-Europe this year, Azerbaijan was labeled the worst place in Europe for LGBTI people, ranked lower than Armenia and Russia.